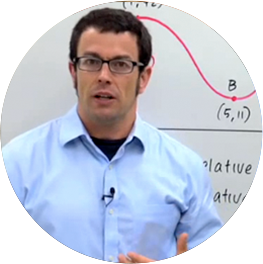 Some economics problems can be modeled and solved as calculus optimization problems. These problems usually include optimizing to either maximize revenue, minimize costs, or maximize profits. Solving these calculus optimization problems almost always requires finding the marginal cost and/or the marginal revenue. I want go talk about the kinds of optimization problems that are going to come up in Economics. First of all let me remind you what optimization is, optimization means finding the maximum or minimum values of a quantity, or finding when these max mins occur. Now what quantities are optimizing the economics? We can minimize costs or maximize revenue we can also maximize profit. First steps in any optimization problems regardless of whether it's Economics or anything else, you want to identify the quantity to be optimized so read the problem carefully for clues as to what exactly is maximized or minimized. You want to identify the feasible domain this is important because it determines the method that you're going to use to optimize the problem if you can make it so that the feasible domain is a closed interval for example you can use the closed interval method. So the feasible domain will be the domain of the function of the quantity to be optimized. And then over here we have 3 optimization methods that we've studied you can choose from any of these depending on what seems appropriate for the problem. If you do have feasible domain which is a closed bounded interval you can use the closed interval method which is an easy method and that's why you might want to prefer that. You can use the first derivative test for absolute max mins or the second derivative test for absolute max mins depending on you might want to chose which one of these you use depending on how easy it is to actually calculate the second derivative. Two final questions, these are really important does my answer make sense? You want to do a reality check in the end does your answer actually make sense? And did I answer the question asked? This is really important in any problem but especially with optimization problems it's very easy to answer the wrong question you want to make sure that if they asked for what is the maximum quantity you give the maximum quantity and not merely where it occurs that sort of thing. So just make sure you keep these in mind as you're doing optimization problems in the upcoming lessons.